Sa'ar looks to put past tension with Netanyahu behind him as Likud campaigns for upcoming elections. 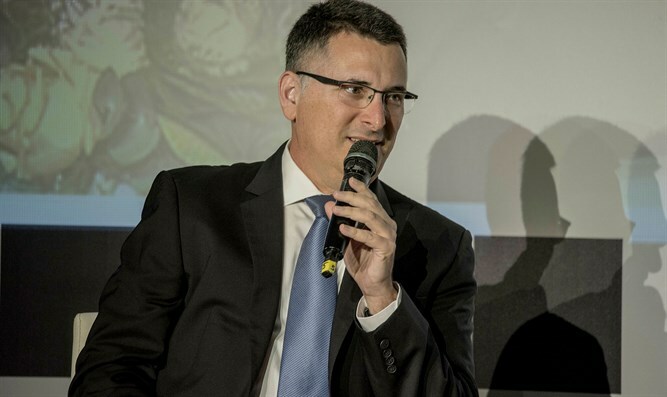 Former Minister Gideon Sa'ar, who placed fourth in the Likud primaries last week, is seeking to put his tense relationship with Prime Minister Netanyahu behind him and focus on a Likud victory in the upcoming Knesset elections. "We have completed a period of more than four years in the bosom of the family and the public has sent us back to the front of the arena," said Sa'ar, who was a guest at the 16th Jerusalem Conference Monday. Sa'ar referred to his wife Geula's decision to withdraw from the Channel 11 news program so as not to encounter a conflict of interests when she reports on political issues. "My wife made a moral decision that stems from being a moral person. She took this step even though her managers told me she could continue to submit the edition." Despite Netanyahu's attempts to thwart Sa'ar's success in the primaries, Saar received a high amount of votes. "My success attests to what the public thinks of me and thank G-d, we arrived at the place where we arrived. Apparently there is great support among the public. and members of the movement apparently want to see me at the front of the stage. " Sa'ar is convinced that both Lapid and Benny Gantz belong to the leftist camp, despite the presence of Moshe Ya'alon, Yoaz Hendel and Zvika Hauser on the "Israeli Resilience" list. According to Sa'ar, "they will be on a list that is mostly not in their opinions. Unlike Gantz, they have years of experience that proves their opinions and positions. But as I said, they will be in a party in which they will be a minority. " "I am not a religious person but a traditional one," Sa'ar said of his closeness to Jewish tradition. "A religious person cannot choose which commandments to observe and which ones do not. I took it upon myself to keep Shabbat and I'm really happy about it. In my opinion the most important thing is to keep our heritage and the one that I want to convey and convey to my children. I do not like the different divisions. We are all Jews."